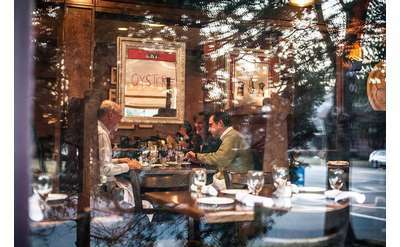 Walking down Broadway in late spring and throughout the summer, you're bound to notice patrons enjoying the fresh air and sunshine while they dine. Dozens of restaurants downtown and throughout the region offer patio dining, and many patios are even pet-friendly. The Blue Hen, inspired in part by the Blue Toed Hen that once stood near the Adelphi Hotel, has a strong focus on warm hospitality and classic fine dining situated in a spectacular setting. 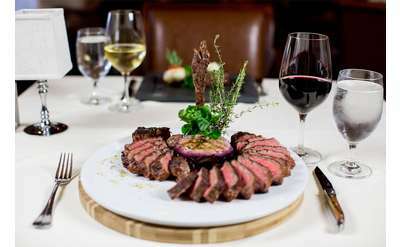 Guests can expect remarkable dishes with impeccable service. 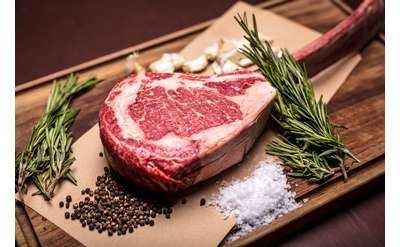 Salt & Char is a Modern American Steakhouse with an inviting and stylish atmosphere that creates the perfect dining experience. Step inside or join us on the veranda for second to none views of Broadway while dining for lunch or dinner. 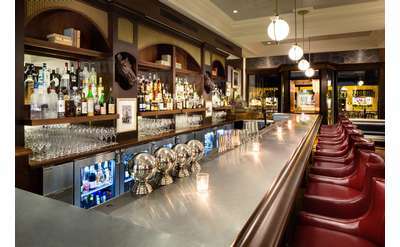 Morrissey's is located within the reimagined Adelphi Hotel and is the perfect place for good friends, conversation, and great drinks. You'll find a superb wine list, craft cocktails, and local beer, as well as small plates and shareable dishes. 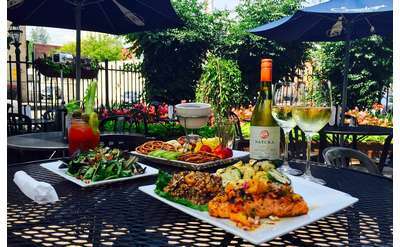 Located at The Adelphi Hotel in downtown Saratoga Springs, the Adelphi Wine & Beer Garden offers sommelier-selected wines, delicious craft beer, and the region’s most inventive and flavorful sushi. 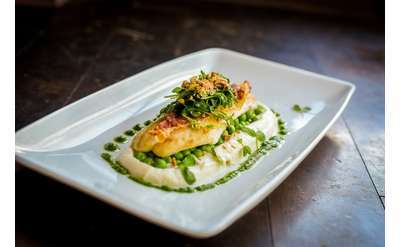 Located in downtown Saratoga Springs, R&R Kitchen + Bar is bringing tradition back to the city with two unique restaurants in one place. 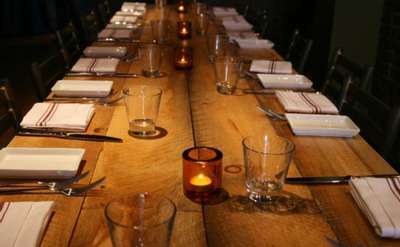 The main floor features a large bar and global comfort food, and Upstairs is perfect for private events. 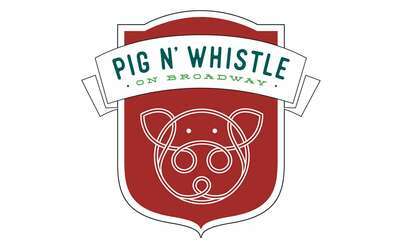 Pig N' Whistle offers incredible Irish pub fare in an inviting atmosphere. You can expect savory burgers, heavenly macaroni and cheese, and solid sandwiches, many of which have fun names like the Mr. Saratoga Burger. This is comfort food at its best! 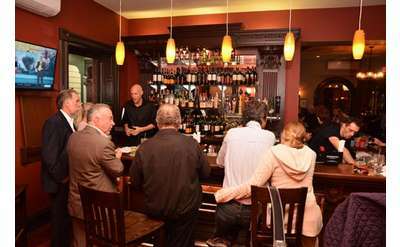 Looking for an upscale tavern in Saratoga? 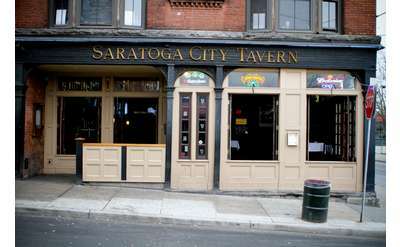 Stop by Saratoga City Tavern in Downtown Saratoga. We have five floors of fun and extraordinary features such as our private rooftop deck. 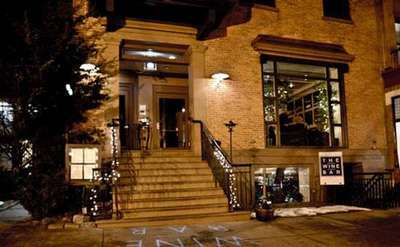 Our venue is the perfect place for a night out in Saratoga Springs! 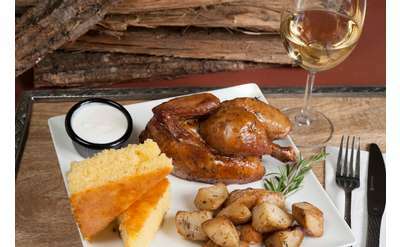 Farm-to-table, french creole cuisine! 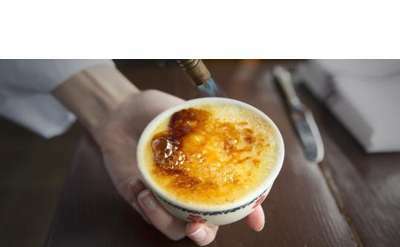 Highly rated by Trip Advisor, Open Table & Huffington Post. 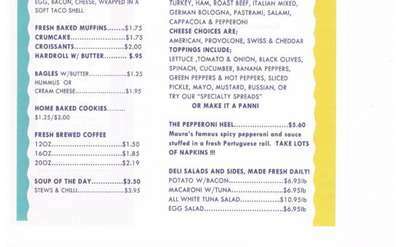 Our menu is based on seasonal farm fresh & local ingredients. We are now open every night through the end of the summer! 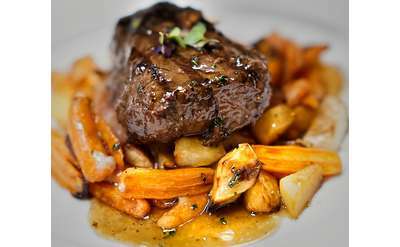 Experience fine American dining in downtown Glens Falls at Morgan & Co. Every dish offers a unique and innovative twist on original recipes. Morgan & Co. also caters events from weddings to reunions and more! 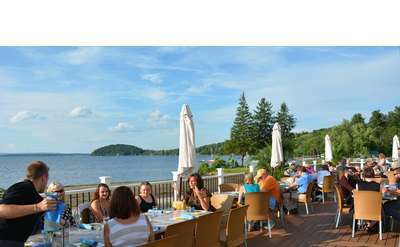 Dock Brown's Lakeside Tavern offers an inviting atmosphere and lakeside dining right on Saratoga Lake. 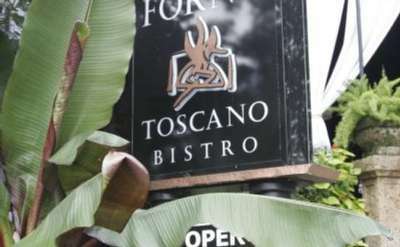 They specialize in upscale pub fare, unique craft beers, specialty artisan cocktails, and they often have live music or special events going on. Peabody's is Saratoga's original sports bar and a local favorite for wings, drinks and sports. Come by to enjoy our 30+ TVs, renowned wings, burgers and pub food, or our wide range of 20+ draft beers and full array of liquor. 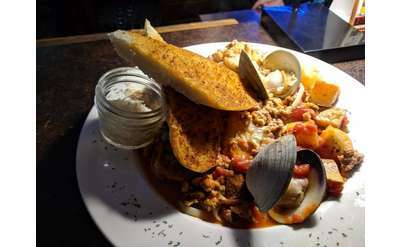 Located on the corner of Lake Avenue and Pavilion Row in downtown Saratoga, Fish at 30 Lake is renowned for their daily "Ocean to Table" specials, innovative entrees, full bar, and seasonal outdoor patio space. 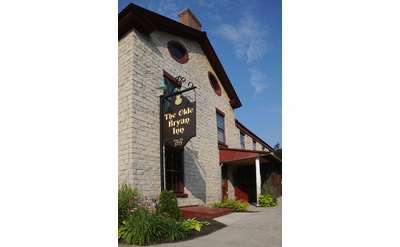 Nestled in the historic Dublin neighborhood of downtown Saratoga Springs, The Local Pub and Teahouse is your friendly neighborhood bar/restaurant serving up traditional English and Irish specialties as well as local craft beers and organic teas. 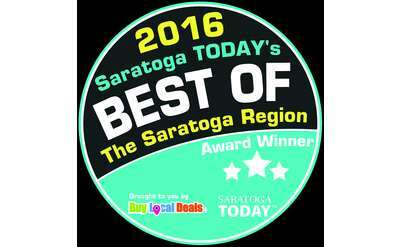 Looking for a great bar in Saratoga? Look no further. With our selection of 50 wines by the glass in combination with our full bar and separate smoking lounge, we offer the perfect place to unwind in Saratoga. 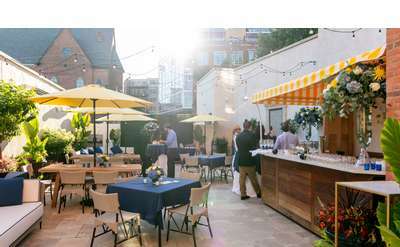 Baileys Saratoga is the perfect spot for everyone, we offer one of the best outdoor patios in town and a delicious seasonal menu served by a phenomenal staff. Come in and taste the difference! Dog Friendly! Open Late, Live music every weekend! 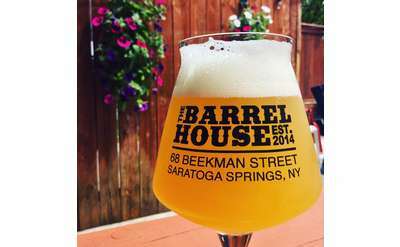 The Barrelhouse in Saratoga Springs features a pub-inspired menu of half-pound burgers, hot dogs, sandwiches, wraps, and more. 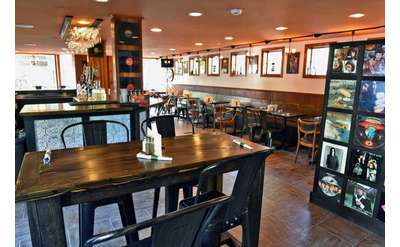 They also offer an extensive beer menu with over two dozen craft drafts from some of the finest breweries in the world. 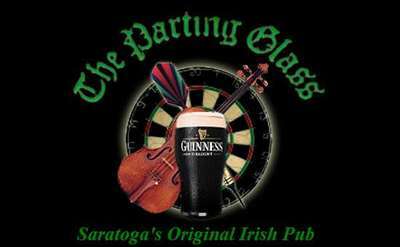 Established on St. Patrick's Day in 1981, The Parting Glass knows a thing or two about having a good time. 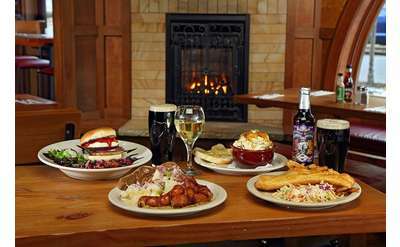 Enjoy great food, beer, and live entertainment at our Irish pub in Saratoga Springs, NY. We are your place for darts and live Irish music! You'll always find fresh, delicious Mexican cuisine at Cantina in downtown Saratoga Springs. Bring the whole family for a traditional Mexican dinner or just visit our stocked bar for one of our famous margaritas! 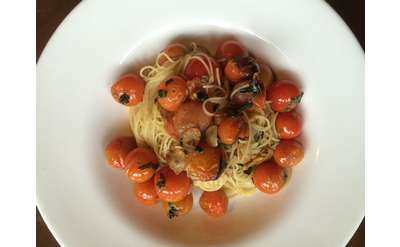 This Saratoga mainstay offers a variety of different vegetarian and vegan options. From fresh tempeh to delicious tofu, you'll be happy you stopped in.